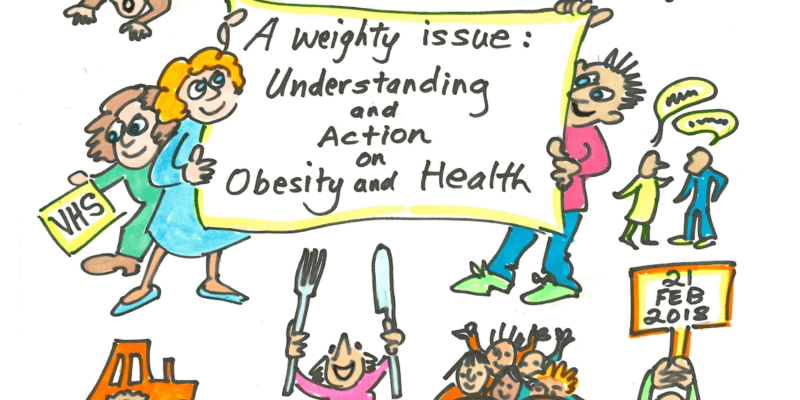 The following infographic reflects the key messages from our event A Weighty Issue: Understanding and Action on Health and Obesity at the 2018 Gathering in February. You can also read the full key messages. You can download the full graphic. Please contact Lauren.Blair@vhscotland.org.uk if you want the individual graphics and for permissions to use them.